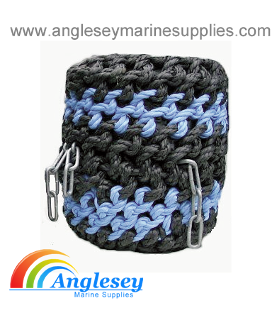 Wide selection of marine, boat fenders and canal boat and narrowboat fenders and protectors available from Anglesey Marine Supplies. 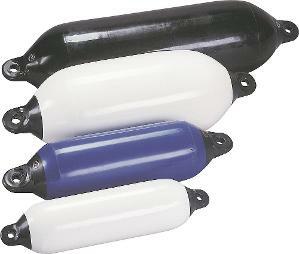 We supply standard boat fenders, slimline and heavy duty canal-narrow-boat fenders, Jetski fenders and pwc fenders etc. 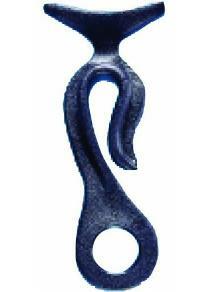 Boat fenders hooks in stock, Boat fenders rubber edging also supplied. 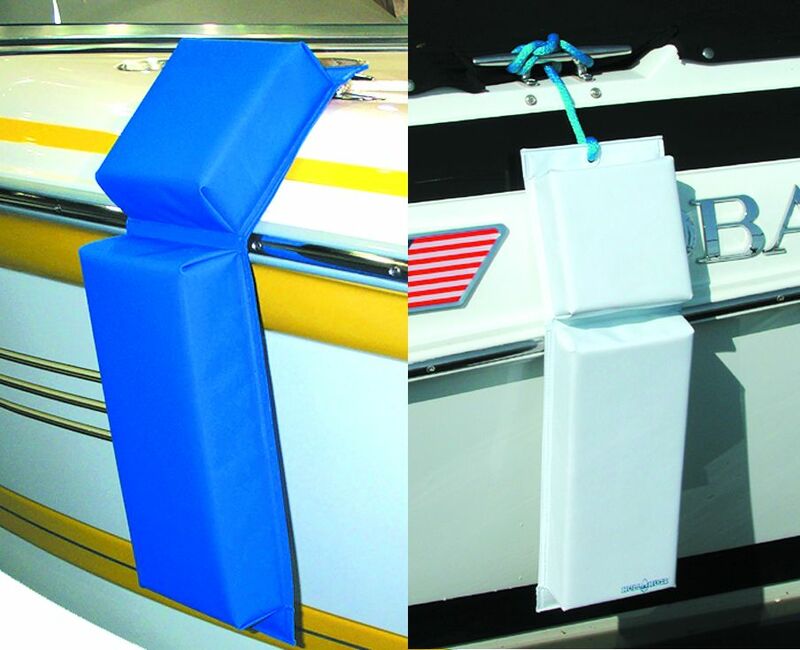 New for this year we supply boat hull huggers, fender protectors, Anglesey Marine Supplies For Boat Fender Protection. 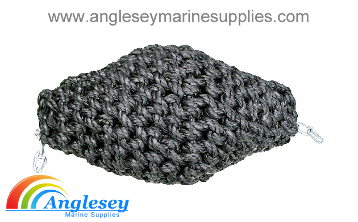 Standard boat fenders from Anglesey Marine Supplies, available in a range of sizes and also in two colours, blue or white. please use drop bar menu for choices. Stainless steel boat fender holder. 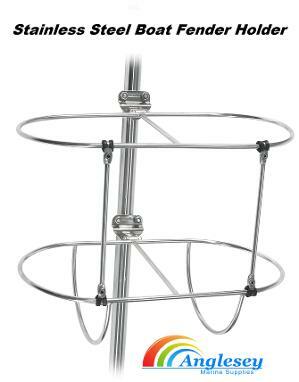 The double stainless steel boat fender holder comes in 2 sections and clamps onto 25mm tube. The boat fender holder will accommodate all boat fenders up to 210mm diameter. The boat fender holder is also height adjustable. A quality heavy duty flat sided canal boat fender, only 2 1/2" deep with solid eyes, 430mm x 120cm (17cm x 5") ideal fender, space saving. Slimline round canal boat and narrowboat fender from Anglesey Marine Supplies, 40mm diameter by 500mm. Heavy duty canalboat fender, narrowboat fender for more traditional narrowboats, made from solid rubber 20" long x 2" wide and can be positioned either lengthwise or perpendicular to the side of the vessel. supplies with black h/d 3 strand rope, 7 foot 6" long. Available in two different sizes, use drop down menu bar for choice. 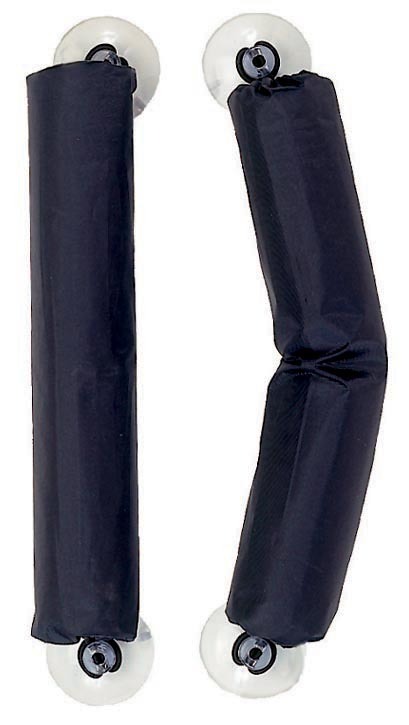 Traditional bow fender, canalboat fender narrowboat fender, made from black synthetic polyester. Has compacted rubber core therefore will not loose its shape. Size 66cm wide x 25mm deep. Has 5mm galvanized chain for attaching to boat. Traditional long button fender narrowboat fender made from black polyester with blue colour coding. Has compacted rubber core, will therefore not use its shape. Size : 30cm wide x 34cm deep. Has 5mm galvanized chain for attaching to boat. Traditional canal boat fender, narrowboat fender, made from black synthetic polyester. Has compacted rubber core therefore will not loose its shape. Size 30cm wide x 19mm deep. 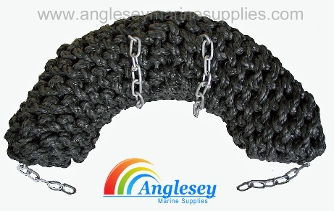 Has 5mm galvanized chain for attaching to boat. Traditional narrowboat fender, canal boat fender made from black synthetic polyester with blue colour coding. Has compacted rubber core therefore will not loose its shape. Size 30cm wide x 19mm deep. 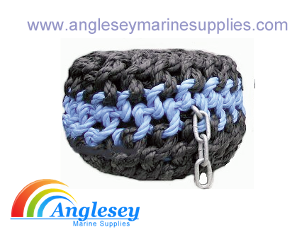 Has 5mm galvanized chain for attaching to boat. Traditional tipcat fender, narrowboat fender, bow fender. Size : 66cm long x 25cm wide. Traditional narrow boat fender, made from black synthetic polyester. Has compacted rubber core therefore will not loose its shape. 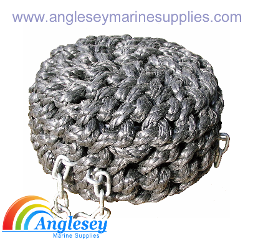 Has 5mm galvanized chain for attaching to boat. Boat fender hooks made from hard plastic to fit on the boat side or safety cable side cables. Sold in pairs. 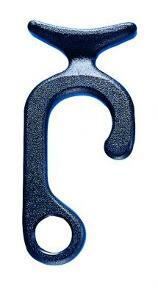 Boat fender hooks made from hard plastic to fit on the boat pulpit or hand rails. Sold in pairs. 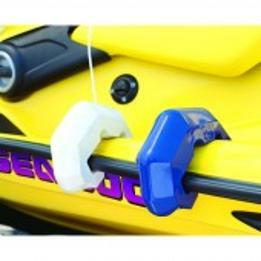 These Jetski pwc fenders (3" x 18") have nylon covers and attach to the jet ski via two giant suction caps or secure under the hood or seat. Ideal for mooring or tying up beside another boat. Supplied as a pair in a clampack. Boat hull huggers,Boat fenders, hinging boat fenders not only protect the boat but they also ensure the gunwale is protected. They can also be used as a flat fender too. Manufactured from durable tri-laminated material with polycarbonate grommets. Available in two sizes (white only). 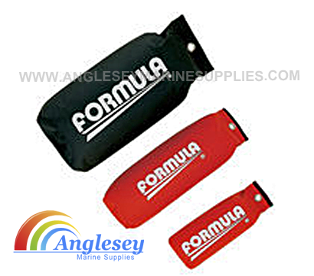 Formula soft fabric boat fenders. Anti tear fabric covering a strong pvc internal inflatable chamber. Easy to store when not in use. Available in three different sizes. Small fender 40cm x 12cm, Medium fender 50cm x 16cm and 60cm x 21cm. Ideal for Jet-skis and small boats. Boat fender edge protective rubber strip, rubber moulding for the protection of flange joints on speedboats, fishing boats, small cruisers, boatbuilders etc. 32mm wide, 45mm depth. Please enter number of feet required as quantity when ordering.